Applying for a home loan doesn’t have to be complicated. In general, your lender will be looking for information related to your income, account balances, monthly expenses, debt totals and residence history. Review this checklist to make sure you know which documents and pieces of information you need to have on hand to simplify the mortgage loan process. Based on your financial history and current life stage, you may need to gather additional information. 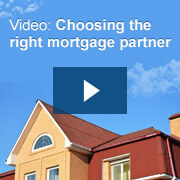 Your home loan officer will help you through that process during the application phase. With the help of professionals and a clear sense of each step, your home buying experience can be simple and stress-free. Click "GO" to get started on your UMB mortgage loan application.